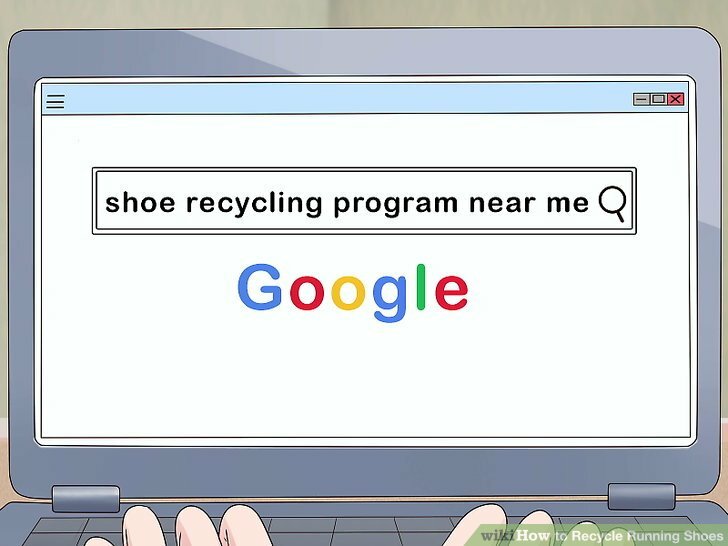 Find a shoe recycling program near you. Some shoe manufacturers have set up programs to take your old, unwanted sneakers and repurpose the materials. Find the brand name of your shoes. Look it up on Google or call the manufacturer to find out if that company runs a shoe recycling program. If your brand doesn’t run its own recycling program, look for programs that accept shoes made by any company. For example, you can return any athletic shoes to Nike’s Reuse-a-Shoe program, whether or not the shoes were made by Nike. Learn the program's conditions. Some programs might require that you wash the shoes before dropping them off. Some might only accept shoes in a certain condition. For example, Patagonia only recycles their own products and asks that you wash them first. 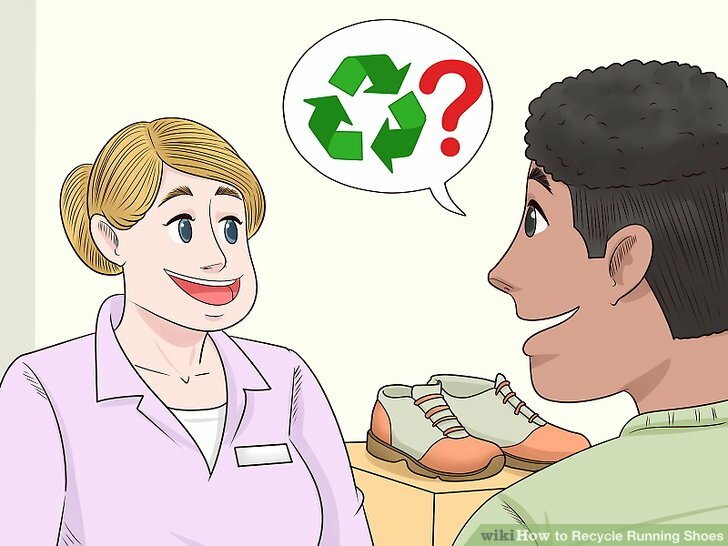 Ask shoe stores near you if they recycle shoes. Many companies which run recycling programs receive old shoes at their different retail locations. Call nearby shoe stores or look on their websites to find out if they offer this service. 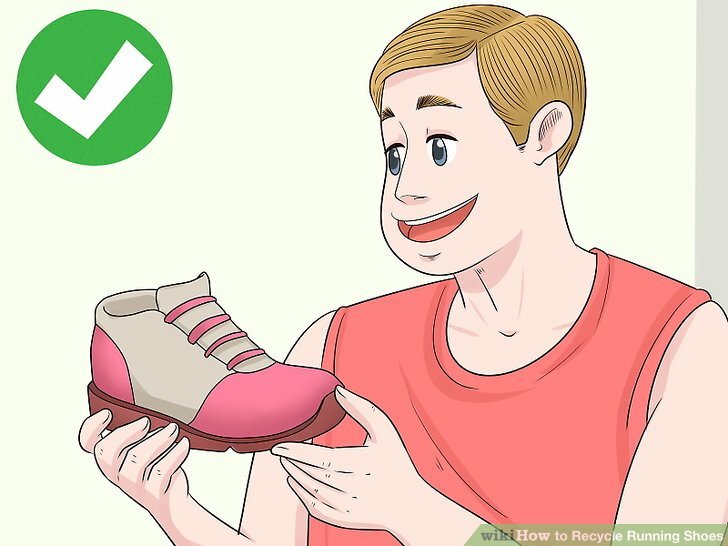 Even if the shoe store doesn't offer a recycling service, there's a good chance someone who works there can point you in the right direction. Drop off your shoes! Bring your shoes to the store and ask where you can leave them. A customer service worker will help guide you to the right place. 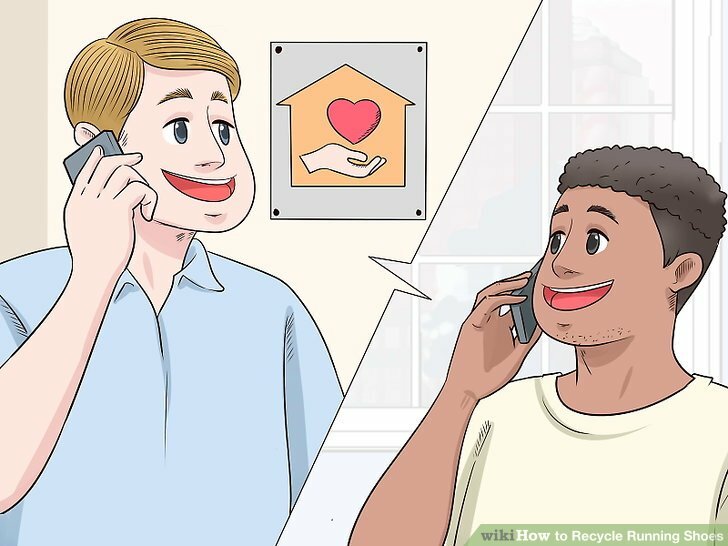 Mail your shoes to a shoe recycling center. 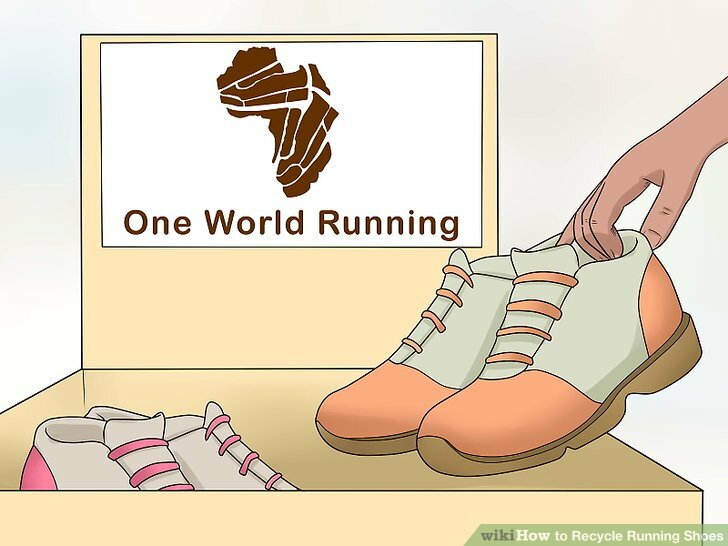 If there are no stores near you which partner with shoe recycling programs, don't despair! 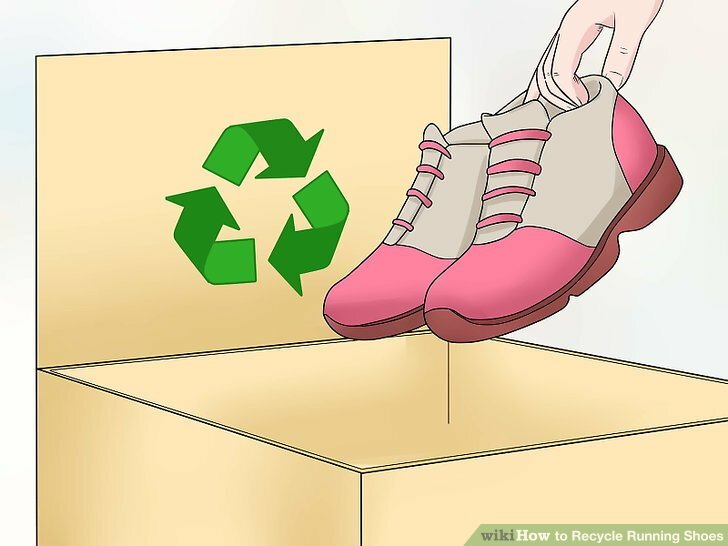 You can ship your old shoes to many recycling centers. Use the internet or call a recycling program to learn its mailing address. 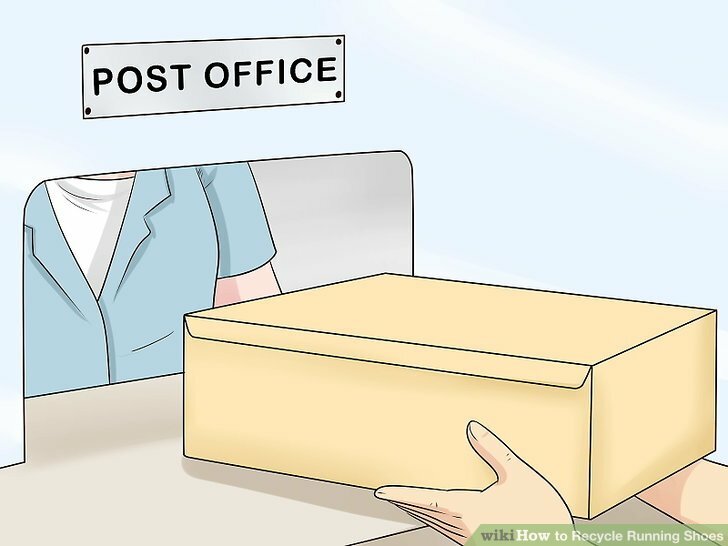 Box up your shoes or take them to a post office to have them packaged. Pay the required postage, and say goodbye to your old shoes! Assess the condition of your shoes. If they are still in fair condition, consider donating them. Maybe your shoes don't fit your feet perfectly or are too worn out for your taste, but that doesn't mean they've achieved their full potential. As long as they haven’t started to fall apart yet, someone else might still be happy to wear them! Find a donation center. Ask someone in your community or look on the internet to find out if there is a clothing donation center near you. 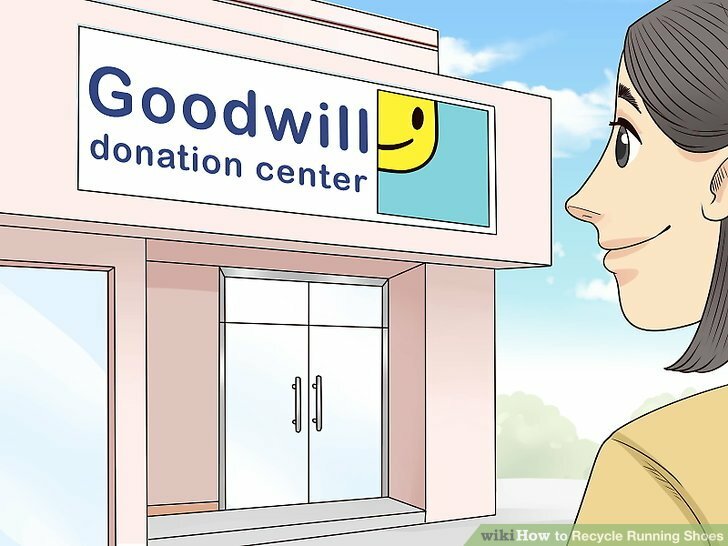 Look for local shops or thrift stores that are known to take donations, like Goodwill, Salvation Army, or Value Village. Contact a local food bank or shelter. Ask any organization which supports the poor or homeless if they accept donations of used shoes. Some religious organizations also run charity programs. Ask a local church, temple, or another organization if they can help you donate used shoes. Consider a charity program which deals specifically with shoes. Programs like Soles4Souls, One World Running, Share Your Soles, Give Your Sole, and more seek to distribute used shoes to people in need. Drop off your shoes at the donation center. Once you've chosen a store or program where yu donate your shoes to, find out if and when you can drop them off in person or mail your shoes to them. 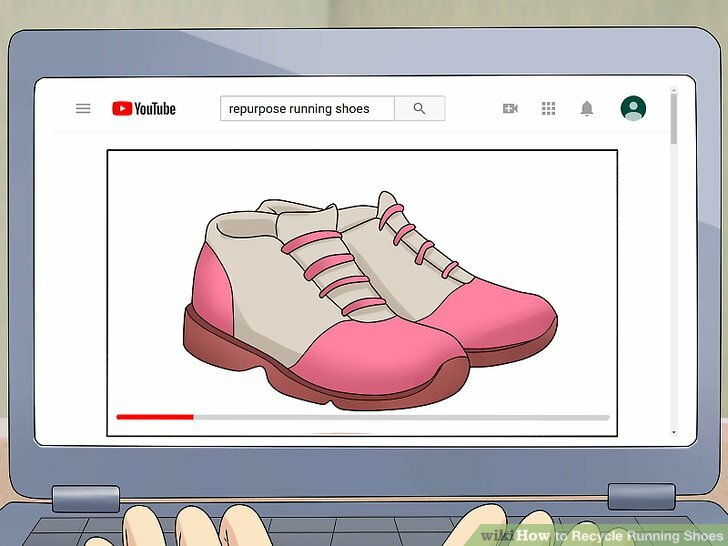 Research crafty ideas for repurposing shoes. Depending on the condition, material, and appearance of your shoes, there could be many fun options for repurposing them! To get inspired, use websites like Pinterest, YouTube, and pages devoted to upcycling and DIY crafts. Assess the potential of your shoes. What do you like about them? If you think they're cute, turn them into something you can keep in your house or give as a gift. If they're stained and worn, consider how the materials could be used in your garden or garage. Take the laces off to use as spare string. 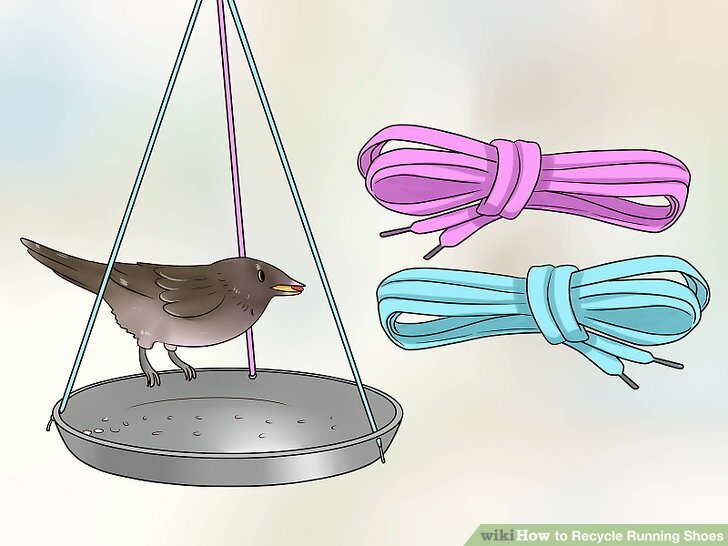 Since they’re probably already dirty but fairly strong, old shoelaces are great to use in the garden to tie up plant limbs, bundle wood, or hang a birdfeeder. If you want to use your shoelaces indoors, you can wash and dry them with your laundry. Once they’re clean, you can use them to tie up an old belt, or loop them through the ends of kitchen utensils so you can hang them on the wall. If you have several shoelaces, you can string them together to make an indoor plant hanger or weave them into a homemade purse strap, keychain, or bracelet. 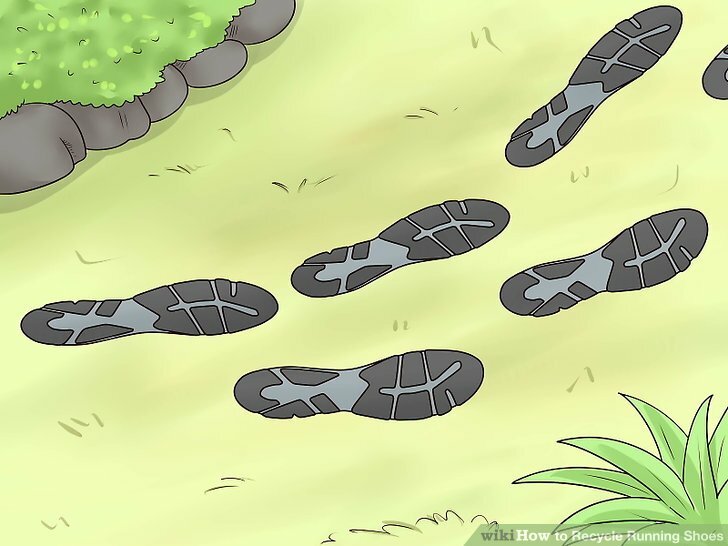 Turn shoe soles into stepping stones for your garden. If your shoes are in ugly or bad shape but the soles are intact and sturdy, they can still be useful! Cut just the soles off and remove the rest of the material. Turn the soles upside down and place them in your garden wherever you want to have stepping stones. Use anchor pins or garden stakes to pierce through each sole from above. This will attach the soles to the ground, keeping them in place. Turn an old shoe into a planter. Boots are classic repurposed plant pots; growing plants in your old sneakers may have a different aesthetic, but it can still be cute, quirky, and thrifty! Poke holes in the soles of the shoes for drainage using a screwdriver, a wide nail, or a drill. Fill the shoe almost all the way with potting mix. 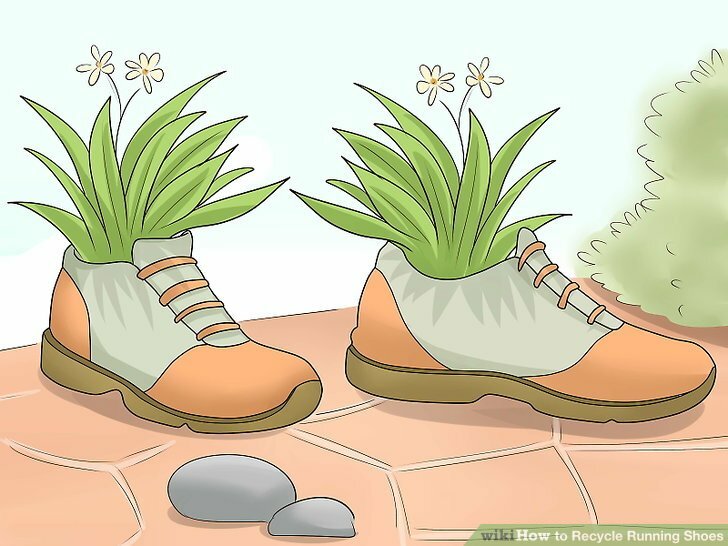 Plant a seed or two in the soil, or transplant a small potted plant into the shoe. 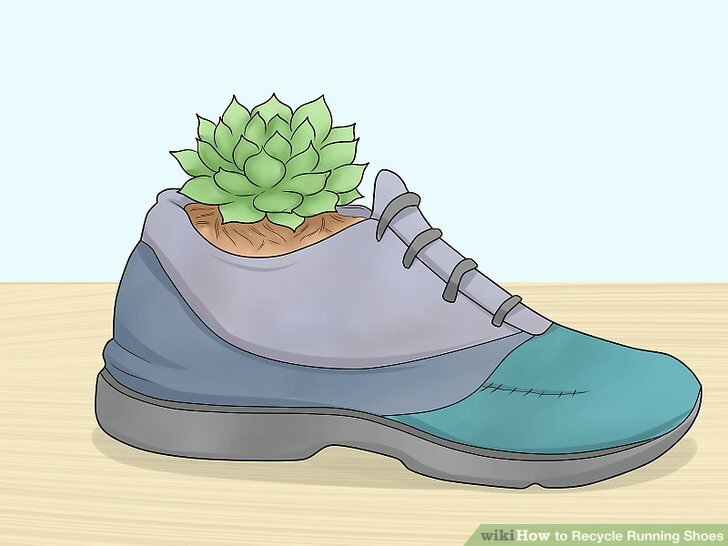 It’s generally a good idea to choose a smaller plant that won’t outgrow the shoe, such as certain herbs, small flowers, or succulents. 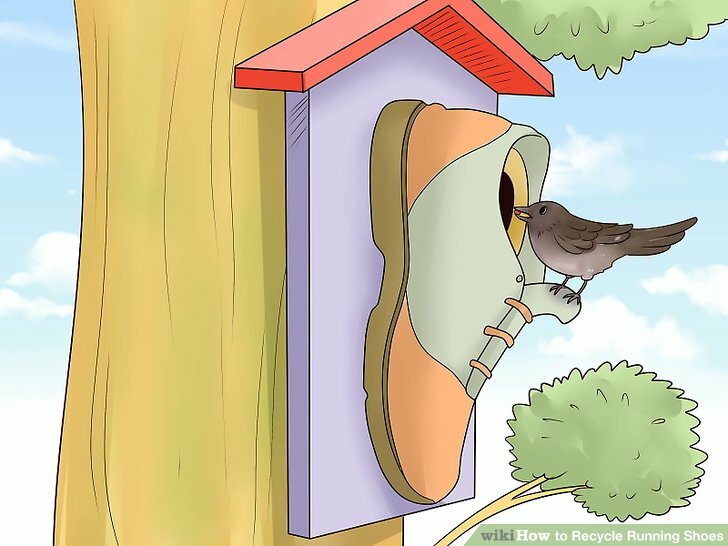 Turn a large, sturdy shoe into a birdhouse. Nail the entire shoe to a tree trunk, with the sole facing the tree and the toes pointing down. Put some birdseed in the shoe, and wait for birds to come check it out.